For such a little island, Put-in-Bay has an incredible music and entertainment scene in the summer! There are close to a hundred different bands and entertainers that play at Put-in-Bay for just one show, or a regular summer schedule. You will find reggae, hip hop, classic rock, blues, and piano solos. You will also find big bands, Motown, original hits, and everything in between. Check out the Official Put-in-Bay Entertainer Schedule for dates, locations, and entertainers. Also check out our lodging options to book a great summer weekend stay in Put-in-Bay. 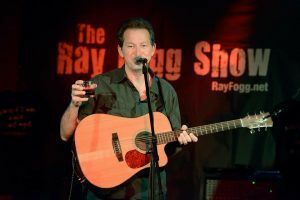 You can catch Put-in-Bay’s own Bob Gatewood around 100 times a summer, either with his band Calabash (Round House Bar, Beer Barrel) or as a solo artist (Fishbowl). The Ray Fogg Show has been an island favorite for over 25 years. 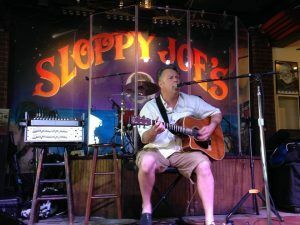 During the off-season his tour has taken him to world famous venues like Sloppy Joe’s Bar in Key West and the Tropical Isle in New Orleans’ French Quarter. An infectious blend of pop, rock, and electronica, Killer Flamingos produce a sound that is turning heads and capturing listeners everywhere. Mustang Sally has performed alongside high profile names such as Montgomery Gentry, Gretchen Wilson, Big & Rich, and Blake Shelton. In addition to being demanded worldwide as fair and festival headliners, they play at the Beer Barrel. The Flyin Jays and their band headman Jamison Charles are quickly becoming a favorite on the Lake Erie islands and Put-in-Bay. 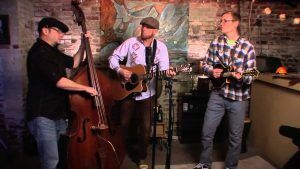 Utilizing acoustic instruments with blazing riffs and big vocal harmonies, they create a unique sound all their own.